We are delighted to offer this limited edition collector’s piece from Martin Smith. 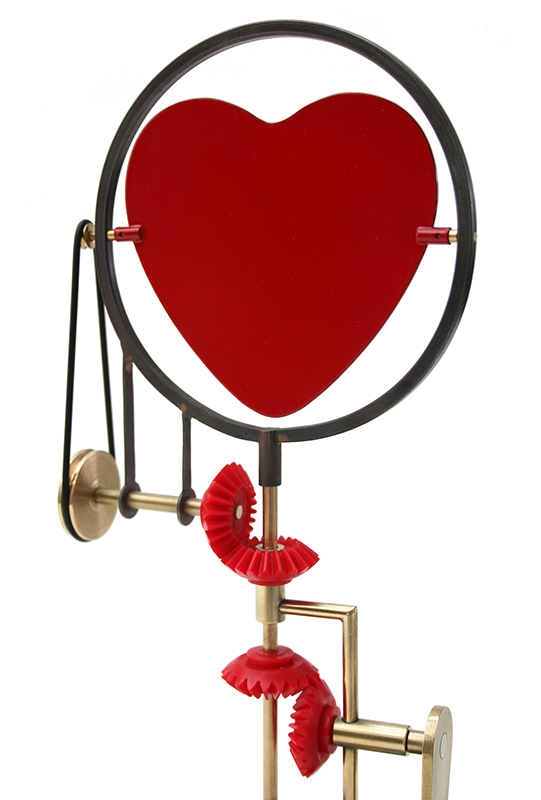 It is the next piece in a series of his kinetic objects that celebrate love. 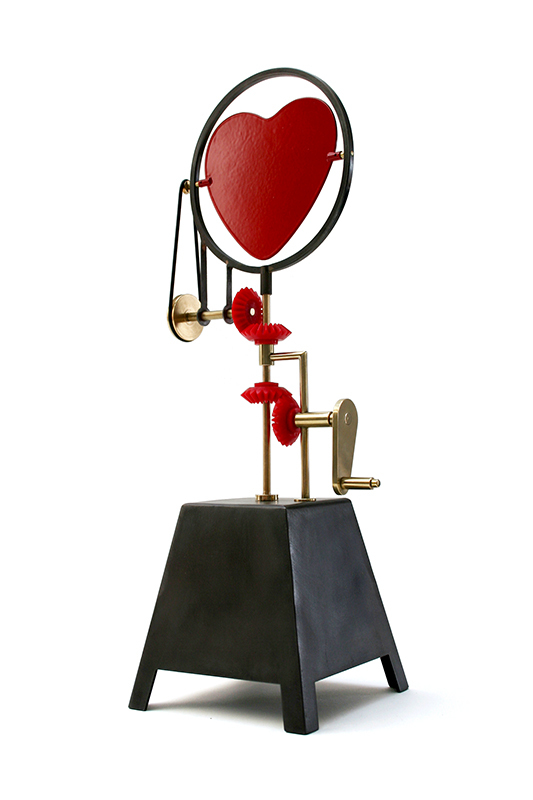 As the handle is turned the gears engage to hypnotically flip, spin and rotate the heart. “She makes my heart spin, she always has”. Colour: Red, brass and patinated steel. Limited Edition of 25 only – plus 1 Artist’s Proof.